This is the development home for universal FAT driver (FAT12/FAT16/FAT32/exFAT) for OS/2 and OS/2 based systems. This project is based on the FAT32 project by Henk Kelder who released the source code as open source in January 2002. 2) CHKDSK, with autocheck on init support. 3) SYS routine, installing FreeLDR bootblock (no minifsd yet). exFAT support ("/exfat" switch is required). Support for ​FAT+ -- files larger than 4 GB on FAT32 (a /plus switch is required). support for VFAT LFN's on FAT12/FAT16/FAT32 (for that, you should specify /fat key for fat32.ifs). support for short <-> long file name translation for VDM for FAT12/FAT16/FAT32/exFAT. Supported different media, like floppies (physical and virtual), CD's, flash sticks and hard disks with FAT12/FAT16/FAT32/exFAT filesystems. For all these media types, FORMAT/CHKDSK/SYS should work. Support for mounting FAT12/16/32/exFAT filesystem images on a FAT12/16/32/exFAT disk subdirectory. Raw/bochs/cloop/dmg/vpc/vmdk/parallels/vvfat/qcow/qcow2/vdi formats are supported. (a library was ported from ​QEMU for support of VM images). For partitioned images, a partition number could be specified. Support for CHKDSK/FORMAT/SYSINSTX on a mounted image (this feature is alpha-quality, yet). Support for mounting a disk image with any file system with loop.add driver. You can mount FAT/HPFS/JFS/NTFS/ISO9660/UDF file systems, or any other file system which has an IFS for OS/2 (alpha-quality feature). If you want commit access to the repository, contact Adrian. We review the tickets regularly and leave comments if we need more info. So please revisit the ​Feedback analysis as often as possible. If we leave comment and don't get feedback from the ticket creator, we will close the ticket after some weeks. 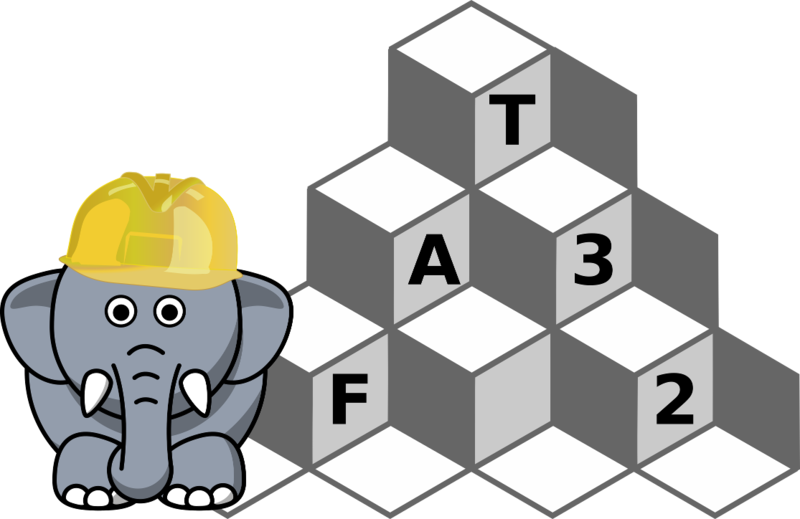 FAT32 is open source software under the ​GNU LESSER GENERAL PUBLIC LICENSE license. I allow you to use all software in this package freely under the condition that the author, contributors, and myself are in no way responsible for any damage or loss you may suffer. You should be aware of the fact that FAT32.IFS might damage the data stored on your hard disks. If you cannot agree to these conditions, you should NOT use FAT32.IFS!